Our team of cleaners are fully trained with years of experience to provide you with the most thorough, professional clean. 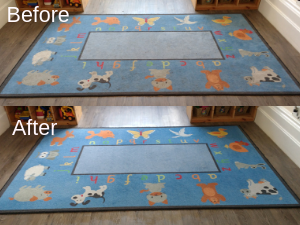 Call us and get a free, no-obligation evaluation on cleaning your carpets and upholstery today. We’ve been in the business for over 20 years and have hundreds of 5 star reviews from our wonderful customers. Scroll down to see what your neighbours said about us. VALUE FOR MONEY We’re definitely not the cheapest cleaners in Worcester but our clients tell us every day it was great value for money and worth every penny. Please see our recent reviews. All our work is fully guaranteed, if you’re not completely satisfied we will put it right or refund your money, NO QUIBBLE! LOCAL BUSINESS We’re local people, we live in Worcester. There’s no high pressure sales, we treat people how we’d like to be treated. All our team take a personal pride in a job well done. We always arrive and depart on time which means there is minimal disturbance to your day. Every trader under this scheme undergoes a comprehensive vetting procedure and continuous monitoring of customer feedback as well as being checked by Trading Standards following a Checkatrade vetting process,to help Worcestershire’s consumers choose a trader they can trust and rely upon. Selecting a carpet cleaner for our elderly mother's house we chose Eddie as all reviews seemed outstanding. We were not disappointed and you can't quibble at 100% money back guarantee. 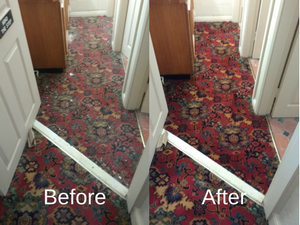 We are very pleased at the result on carpets which are really quite old. Thankyou so much. 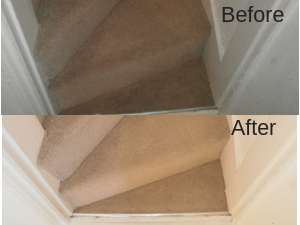 I have my stair (two flights)carpets, two bedrooms and hall and landing cleaned yearly by Cleaning Specialists and am completely satisfied with their service. It is easy to book the service for a time to suit yourself. They arrive spot on time; you never have to worry about them being late. The work undertaken is to the highest standard and the people are extremely pleasant. I have no hesitation in recommending this company to all.